How to watch The Hitchhiker's Guide to the Galaxy (2005) on Netflix Netherlands! Sorry, The Hitchhiker's Guide to the Galaxy is not available on Dutch Netflix, but you can unlock it right now in the Netherlands and start watching! With a few simple steps you can change your Netflix region to a country like USA and start watching American Netflix, which includes The Hitchhiker's Guide to the Galaxy. We'll keep checking Netflix Netherlands for The Hitchhiker's Guide to the Galaxy, and this page will be updated with any changes. The Hitchhiker's Guide to the Galaxy is not available in Netherlands BUT it can be unlocked and viewed! After learning that Earth is about to be destroyed for an interstellar thruway, Arthur Dent survives by hitching a ride on a passing spacecraft. The bad news? Earth is being destroyed. The good news? One average Brit is about to have the adventure of a lifetime. There is a way to watch The Hitchhiker's Guide to the Galaxy in the Netherlands, even though it isn't currently available on Netflix locally. What you need is a system that lets you change your Netflix country. With a few simple steps you can be watching The Hitchhiker's Guide to the Galaxy and thousands of other titles! 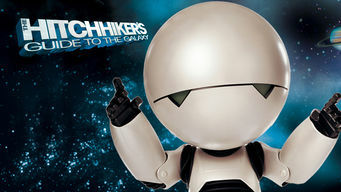 Watch "The Hitchhiker's Guide to the Galaxy"